Kenya Wildlife Service (KWS), the custodian of Kenya's national parks, announced already back in September 2011 that it will increase the tariffs for the countries National Parks, but they are only now coming into effect. As of 01 Jan 2012, foreign visitors to Kenya's so-called Premium Parks, Amboseli NP & Lake Nakuru NP, will have to pay a conservation fee of US$80/person per day (2011: low season US$60/person; high season US$75/person) as a flat rate charged throughout the year. Visits to parks not designated as premium parks, such as Tsavo East NP, Tsavo West NP & Meru NP, will from 01 Jan 2012 have to pay a daily fee of US$65/person. Pls download (pdf) the complete list of park conservation fees in 2012 for more information. To promote a free mobile app that allows you to track your luggage, Delta Air Lines made the following video that shows you where your bags go after they pass through those black rubber flaps at the airport. Due to "security reasons", and the Transportation Security Administration (TSA), the probably most interesting part of the bag's journey from Atlanta to New York in the US could not be filmed, but it is still good to see that they handle your luggage with a certain care at the two aiports. Let's just imagine that this is how they do it everywhere in the world. Thx Delta! If you like adrenalin rushs, speed and a good doze of crazyness you'll love this video. The annual dowhill skateboarding event "Hot Heels Africa" took place on 09-11 Dec 2011 on the tight two lane Buffelstal access road between Rooi Els and Pringle Bay in the Kogelberg Biosphere Reserve, located approx. 60 km east of Cape Town. The course along the Buffelstal access road is about 1,9km long and the riders can reach a top spead of around 80km/h. The event has been running since December 2003, so I reckon they will race down the Kogelberg road in 2012 again. Watch the following video and mark the date in your calendars - it does defo look like big fun! According to various news reports, Victoria Falls Town in Zimbabwe ran out of fuel over the last couple of days. Bulawayo24 is even reporting that "all (official) service stations in the town had no fuel". Victoria Fall's accommodation establishments are usually fully booked or close to fully booked during festive season and especially right now, as the famous Victoria Falls Fest is going to start on 30 Dec 2012 for two days of parties and concerts. Five litres of petrol are currently being sold at US$15 on the parallel market while diesel was at US$13 the same quantity. As of 21 March 2012, Qatar Airways, flag carrier of Qatar, will extend its existing daily Doha <> Entebbe (Uganda) service to Kigali in Rwanda, on board an Airbus A320 aircraft. Kigali is a new destination for the carrier, which has local traffic rights on Entebbe <> Kigali sector. Qatar Airways currently operates scheduled flights to 110 destinations across Europe, Middle East, Africa, Asia Pacific, North America and South America with a modern fleet of 102 aircraft. Roadtrips from Durban to Mozambique and/or the Kosi Bay area in northern KwaZulu Natal are actually quite popular among travellers, so if you are planning to drive up there from Durbs, check out the following drive lapse video. The route in the video goes from Durban northwards along the N2 and the R22 followed by the P522 and is ending up somewhere right behind the Kosi Bay Border to Ponta do Oura in Mozambique! Enjoy! Durban to Mozambique - Time-lapse from Jackson Veigel on Vimeo. Dung Beetles are not only the world's strongest creature, but also famous for recycling as they feed partly or even exclusively on feces! The bugs eat dung excreted by omnivores and herbivores, which means that they do not need to eat or drink anything else, because the dung provides all the necessary nutrients... Anyway, watch the following video produced by National Geographic for some interesting facts about the Dung Beetle. Belgium's largest airline, Brussels Airlines, will increase its international flight frequencies to five African destinations. From April 2012 the airline will enhance travel possibilities and seat capacities to/from Nairobi (Kenya) and Bujumbura (Burundi) in East Africa and to/from Yaoundé, Douala (Cameroon) and Abidjan (Ivory Coast) in West Africa as well as to/from Kinshasa in the DR Congo. Thanks to the timing of the flights, passengers will be able to connect seamlessly between these new flights and other Brussels Airlines' flights within Europe or to/from the United States. As from April 2012, Brussels Airline will offer four weekly flights to Nairobi in Kenya and three weekly flights to Bujumbura in Burundi. Weekly frequencies to the capital of Cameroon, Yaoundé, will be increased from two to six, while Douala will be linked daily to Brussels Airport instead of the current 3 flights weekly. The airline will also increase its flight offer to Abidjan (Ivory Coast) to a daily service. Flights to Kinshasa will be operated non-stop from Brussels every Tuesday, Thursday, Friday and Saturday. Direct non-stop flights from Kinshasa to Brussels will be offered six times a week. Due to the large number of travellers during festive season, some of South Africa's border posts have increased their working hours. To meet the increased number of travellers arriving at Johannesburg's OR Tambo International Airport, about 350 former SA National Defence Force officers, previously trained in immigration services, started working at the airport on 21 December 2011. The Mahamba, Mananga and Jeppes Reef border posts will be open from 07:00 to midnight, 07:00 to 20:00 and 07:00 to 22:00 respectively. The Qachaa and Tellebridge border posts will be open at 06:00 and close at 22:00. These times would be in effect from 22 to 24 December 2011. The Rooyenshek border post will be open from 06:00 to midnight from 22 December 2011 to 09 January 2012. Hostel booking service Hostelworld has a new signup in Tanzania - BaseCamp Tanzania in Arusha. This area is a popular stop-off for travellers as it is situated close to Kilimanjaro as well as nearby to some of Tanzania’a most famous national parks. 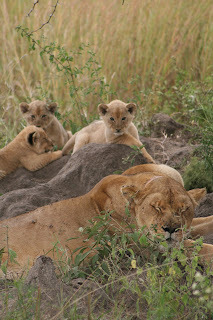 BaseCamp Tanzania is the ideal place to stay whether you are travelling solo or with a group. It’s close to local banks and cafes, as well as some markets. In the hostel you will find some cosy beds as well as a really cool common room on a balcony with some spectacular views. Enjoy your stay at BaseCamp Tanzania in Arusha. Austria has closed its embassy in Zimbabwe, but not because of politics, but due to economic reasons. Outgoing Austrian Ambassador to Zimbabwe, Ms Maria Moya Goesth paid, told the media that Austria is currently is in the process of cutting down on expenditure and various foreign missions have been affected. Austrians, who need to contact their embassy, or Zimbabweans seeking Austrian information will from now on have to visit or contact the Austrian embassy in Pretoria, South Africa. The Danish embassy in Harare has officially re-opened its mission to Zimbabwe after it terminated the duty nine years ago. The embassy closed its mission in 2002 at the height of confrontations with the Zimbabwean government. According to the new Danish Ambassador to Zimbabwe, Ketil Karlsen, Danmark has resumed a more critical role in its engagement with Zimbabwe and is one of the five bilateral donors this year. Budget holidays will be an attractive proposition for travellers in the current economic climate, and with 2012 looming, adventure specialist Acacia Africa has pinpointed some of the trendsetting hotspots coming up on the continent. There’s still an ongoing debate when it comes to Zimbabwe, but over the last year, the country has had plenty of hardened adventurers beating down its less well-travelled paths. These intrepid travellers have put the country back on the mainstream map and with a wealth of volunteer projects on offer, Zimbabwe will continue to appeal to the growing number of ethical tourists. 7-day Rediscover Zimbabwe small group safari £445pp + local payment from £218pp. South Africa, was recently ranked as the sixth most cost-effective long-haul option for British travellers, prices falling 27% since the previous year. With adventurers looking to travel further and wider for less, KwaZulu-Natal, one of the Rainbow Nation's up and coming provinces is tipped to be a 2012 hotspot. A stronghold of the Zulu tribe, the region is also home to South Africa’s oldest Big Five game reserve, Hluhluwe-Umfolozi – famed for its white rhino conservation efforts. 13-day Trek South Africa small group safari £875pp + local payment from £458pp. Leanne Haigh, Project Development Manager at Acacia Africa, comments, "South Africa’s price driven popularity will also open up the landlocked kingdoms of Lesotho and Swaziland, these lesser known enclaves benefiting from a ready influx of responsible adventurers in search of unspoilt Africa." Kenya and Tanzania have enduring crowd appeal when it comes to the annual migration, the wildlife spectacle drawing hordes of tourists to East Africa. However, 2012 could be the year for Malawi, the poorest nation in Sub-Saharan Africa now being viewed as one to watch on the continent. The country has invested heavily in eco-tourism over the years, the yearly "Lake Of Stars" festival bringing the warm heart of Africa out of relative obscurity to centre stage. 22-day Zanzibar, Victoria Falls & Kruger overland expedition £945pp + local payment from £384pp. According to Acacia Africa, the search for exotic climes on the continent shows no sign of waning, 17% of the Y Generation having already visited the northern region by 16 years. Leanne Haigh, comments, "Africa is certainly gaining in popularity, and the traditional gap year in Asia is being replaced by a much more eclectic travel map. In fact, we’re seeing this across the board, couples, 30+ solo travellers and more senior adventurers choosing to quench their thirst for adventure, culture, and adrenaline on the continent." All prices are no single supplement and include camping accommodation, transport, most meals and services of a tour leader/guide. Excludes return flight. For more information, visit acacia-africa.com. update (19 April 2012): Namibia's flag carrier Air Namibia will resume flights between Windhoek <> Harare in Zimbabwe after 13 years on 16 May 2012. The airline will be flying into Zimbabwe four times a week on Mondays, Wednesdays, Fridays and Sundays. update (08 March 2012): Air Namibia has postponed the planned service resumption on the Windhoek <> Harare route (4 weekly) and the new service launch on the Windhoek <> Gaborone route (3 weekly). The airline will now launch the services on 15 May 2012, instead of 01(03) April 2012. Namibia's flag carrier, Air Namibia, is returning to Zimbabwe in the first time in 13 years. The airline will commence 4 weekly flights between Windhoek and Harare on 01 April 2012. In addition, the airline is starting a new service to Botswana, with 3 weekly flights between Windhoek and Gaborone, starting on 03 April 2012. Air Namibia will use an Embraer ERJ-135 on both routes. Although it has been through its fair share of turmoil, it seems Zimbabwe is turning a corner and seeing more travelers coming back to visit. But the Automobile Association of SA, would like to give a few pointers to those travelling into Zimbabwe. "Zimbabwe has introduced new legislation requiring motorists to carry two breakdown triangles and a fire extinguisher (750gm or over in size), effective 1st July 2011," says Gary Ronald, Head of Public Affairs at the AA. "However, as there was so much opposition to the new legislation by the motoring public, and subsequently a parliamentary investigation into the whole Road Traffic Act, these new requirements were not being enforced by the Police - presumably in anticipation of the findings of the parliamentary inquiry." "With the onset of the holiday season, however, we are now hearing reports of the Zimbabwe Republic Police fining motorists for not having this equipment. In fact the ZRP are on a mission to fine motorists for numerous offences, including many spurious charges," continues Ronald. Ensure that you carry 2 x breakdown triangles and a 1 kg fire extinguisher (750gm extinguishers are not available). The latter must theoretically be fixed in the interior of the vehicle where it is readily to hand. Fit two white reflectors to the front of their vehicles (a legal requirement). Beware of numerous speed traps. Be alert to spurious 'offences' for which no receipt is issued for monies paid. Be alert to the fact that fines are often levied well over the stipulated amount for the offence (difficult for visitors to assess). If a trailer is being towed, an additional set of breakdown triangles must be carried. All vehicles must also have two red reflectors fitted to the rear, but these are almost without exception incorporated into the tail lights of every vehicle. Our 2011 in tweets... thx to 2,771 followers and to all the tweeters out there who put us on 136 lists! Follow us http://twitter.com/travelcomments! If you got about 25min of time, join famous wildlife photographer and National Geographic photographer-in-residence Frans Lanting and his wife Christine Eckstrom on a wild desert journey through Namibia, watch their incredible photos of country's landscapes and wildlife and listen to their facts and stories about the south west African country of Namibia. Kudos to Christine Eckstrom and Frans Lanting! South Africa: Sani Lodge Backpackers is the 2nd FTTSA-certified accommodation in KwaZulu Natal! Sani Lodge Backpackers, a backpackers on the famous Sani Pass to Lesotho bordering the uKhahlamba Drakensberg World Heritage Site, is the second accommodation tourism business to become Fair Trade in Tourism South Africa (FTTSA)-certified in KwaZulu Natal. Sani Lodge Backpackers is one of the oldest owner run backpackers in the country that offers good value they offer while also contributing to sustainable tourism. 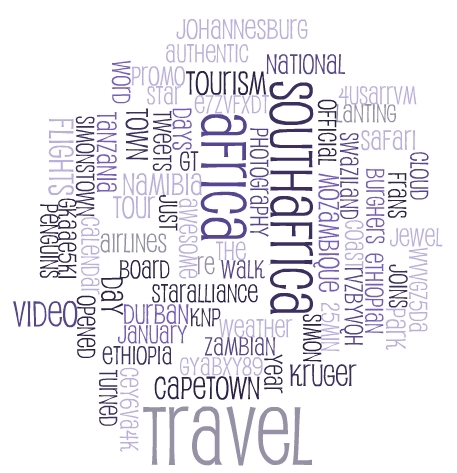 FTTSA certification is an independent endorsement of fair and responsible tourism practice in South Africa. It is based on adherence to specific criteria including fair wages and working conditions, fair distribution of benefits, ethical business practice, and respect for human rights, culture and the environment. Certification is offered on a voluntary basis to providers of tourist accommodation, activities and attractions. Of the various practices reviewed, FTTSA looks for evidence that the business supports community investment as a developmental tool in relation to the business’ unique context. For example, FTTSA investigates efforts made by the business to support the local economy. Sani Lodge Backpackers makes significant efforts towards this, not only through permanent employment of most people from the local area but also by assisting entrepreneurs and communities by allowing them to provide products to their tours for which they are paid. This is exemplified in their Eastern Lesotho village tours, where over 60 families in the Matsaoing district of Eastern Lesotho benefit directly from the tour by payments made to them for services rendered in the fields of accommodation and food, dancing and traditional culture, traditional healer and primary school visits as well as pony trekking. Since their longer tours started in 2005, over R1 million has flowed directly to grassroots tourism enterprises and service providers around Lesotho and allowed local people to showcase their culture and take a real pride in it! One of FTTSA’s key principles is Respect for Environment, which can be measured in relation to planning, operational management, and investment in conservation activities. Sani Lodge Backpackers rehabilitated their badly degraded property by eradicating the invasive bramble and are making inroads on the other alien species such as wattle, pine and eucalyptus. They propagate their own indigenous plants, and have replaced the alien species with thousands of indigenous tree and shrub seedlings in an on-going program. They have also been at the forefront of fighting environmentally unfriendly and unsustainable development projects in their area and are currently deeply involved in trying to prevent the destruction of one of Southern Africa’s most unique treasures, the Sani Pass and the road to Mokhotlong. This is what owners of Sani Lodge Backpackers’ Simone and Russel Suchet said about being FTTSA-certified, "Sani Lodge Backpackers is honoured and excited at being FTTSA-certified, joining the portfolio of other certified establishments allows us to join a group of tourism establishments which we are delighted to be associated with. It is a vindication and reward for our efforts over nearly 20 years." The national airline of the United Arab Emirates, Etihad Airways, has been voted "Best International Airline" in the Airports Company South Africa (ACSA) Feather Awards on 07 December 2011. The award recognised Etihad Airways’ exemplary service on its flights to Cape Town International Airport and Johannesburg's OR Tambo International Airport over the last year. Etihad Airways began operations in 2003, and in 2010 carried more than seven million passengers. From its hub at Abu Dhabi International Airport, Etihad is currently operating international flights to 72 cities in the Middle East, Africa, Europe, Asia, Australia and North America, with a fleet of 61 Airbus and Boeing aircraft, and 100 aircraft on order, including 10 Airbus A380s, the world’s largest passenger aircraft. The City of Cape Town, in collaboration with South African National Parks (SANParks), re-opened the Burghers’ Walk in Simon’s Town on Friday 9 December 2011. The walk was temporarily closed to allow for crucial rehabilitation since 01 July 2011. Burghers’ Walk is a section of the Simon’s Town coastline that is home to one of only two land-based African Penguin colonies in South Africa and provides nesting grounds for a significant portion of this colony of endangered birds. Entrance to Burghers’ Walk is free and the area can be accessed via the wooden gate in Bellevue Road or via other access ways on Links Avenue. The City requests that any member of the public entering Burghers’ Walk familiarise themselves with the rules and regulations of the area, as stipulated on the signboards. Penguin Monitors will be available on site during the week and they will assist with any further information required. mp3 of the day: free 8-track sampler from "The Black Seeds"
If you like dub, funk, afrobeat and soul, the new and free 8-track "Christmas" sampler from The Black Seeds is the right download for you! Ethiopia's flag carrier, Ethiopian Airlines, has officialjy joined Star Alliance, the world's first and largest airline alliance. The airline will begin participating in the various Star Alliance fare products as of 01 January 2012. The Ethiopian Airlines' African routes will be added to the offer of the Star Alliance Africa Airpass, a special fare designed for those wishing to criss-cross the continent by air. With the addition of Ethiopian Airlines, the Star Alliance network in Africa grows to cover major commercial and political cities of the continent particularly in East, Central and West Africa. In total, the 16 Star Alliance member carriers serving Africa offer more than 750 daily flights to over 110 destinations in 48 countries on the continent, with Addis Ababa, Cairo and Johannesburg serving as the main hubs. On a global scale, with the addition of Ethiopian Airlines, the Star Alliance network now counts 28 airlines, offering a choice of more than 21,000 daily flights to 1,290 destinations in 189 countries. An access road between the previously divided, but neighbouring, Freedom Park and the Voortrekker Monument in Pretoria will be opened by President Jacob Zuma and Deputy President Kgalema Motlanthe on this year's National Reconciliation Day celebration on Friday, 16 Dec 2011. Freedom Park was established in 2009 by the South African Department of Arts and Culture. The core function of the park is to provide a pioneering and empowering heritage destination that reflects South Africa's pre-colonial, colonial, apartheid and post apartheid experiences. It is aimed at contributing to mutual understanding and appreciation of various communities and nations. The Voortrekker Monument, on the other hand, was inaugurated in 1949 as a unique monument which commemorates the pioneer history of Southern Africa and the history of the Afrikaner. A rare baby albino elephant was born in Kenya's Amboseli National Park earlier in December 2011. The baby elephant has a white tail and body hair, pale skin, and very pink ears. Albino elephants are usually not "white", but instead they have more of a reddish-brown hue, turning a light pink when wet. Albino elephants are an extremely rare phenomenon in Africa, while in Asia they are thought to be not that unusual. Both the King of Burma and the King of Thailand are keeping small herds of "albino elephants". The international car rental company Europcar opened a new branch in Maun - the 3rd largest town in Botswana and the gateway to the Okavango Delta. The company furthermore secured one of the best parking position at Sir Seretse Khama International Airport in Botswana's capital Gaborone, so that clients of Europcar now have only a short walk between the Europcar's office and their rental car. Europcar also made a bid for facilities inside the new Francistown International Airport terminal. New Cape Town promo video "Cape Town & beyond"
Today is World AIDS Day - "Getting to Zero"